Campaigners have called for local transport planning in Scotland to be reinvigorated by the devolution of both responsibilities and ‘ample’ national resources to local level. At an event last week, Transform Scotland presented a series of recommendations for improving the delivery of local, sustainable transport to the Society of Chief Officers in Transportation in Scotland (SCOTS). Transform Scotland director Colin Howden took a swipe at the Scottish Government’s introduction of an Air Departure Tax (ADT), which it plans to set at lower levels than the UK Government’s Air Passenger Duty (APD). He added: ‘There are ample funds available. While local authorities have suffered massive cuts to their budgets, and face even more severe cuts, the national transport budget enjoyed by Transport Scotland has increased by a third over the past decade. Existing national spending priorities have become skewed towards long-distance, unsustainable transport; short of a fundamental review of national spending priorities, it is at least incumbent on national government to empower local authorities to raise their own revenue locally. Local authorities need to present a more compelling evidence base about their perceived lack of resources for delivering sustainable transport. For local authorities to be entrusted with additional resources and responsibilities, they need to be significantly more transparent in their dealings with the public. The City Deals may have merit, but the processes remain deeply non-transparent, and with no indication that climate- and equalities- proofing has been taken into account. A decision needs to be taken on what form of regional land use and transport governance in Scotland is required, and, if it does need to be retained, a more consistent system put in place. 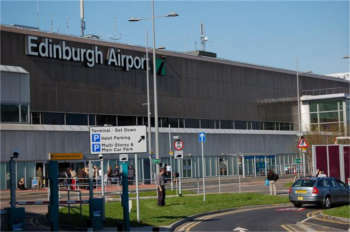 A Scottish Government spokesperson told Transport Network that it remains 'committed to a 50% reduction in ADT to help boost international connectivity and generate sustainable growth', but added: 'We have deferred introduction until the issues raised in relation to the Highlands and Islands exemption have been resolved to ensure that the devolved powers are not compromised.